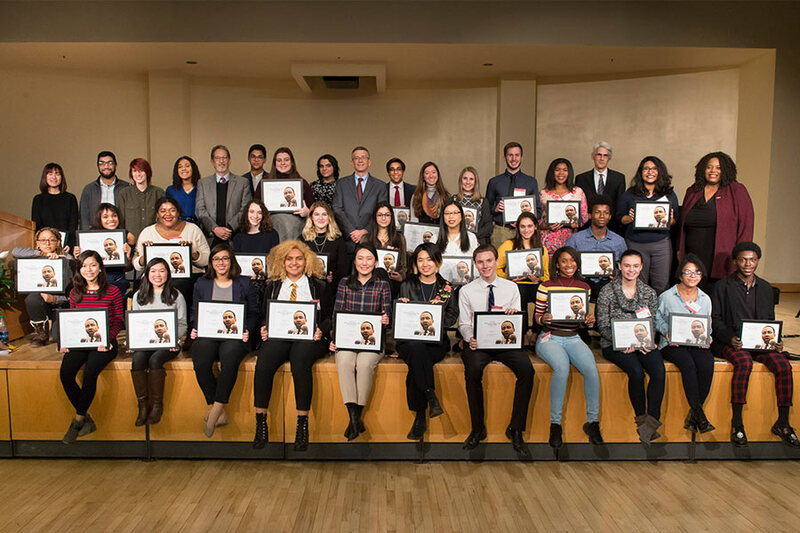 For 20 years, high school and college students from across western Pennsylvania have addressed topics of difference and diversity in Carnegie Mellon University’s Martin Luther King, Jr. Day Writing Awards. The student winners read their poems and essays at an awards ceremony on Monday, Jan. 21, at 4:30 p.m. in CMU’s Cohon University Center Rangos Ballroom. The Martin Luther King, Jr. Day Writing Awards is sponsored by UPMC, Cohen & Grigsby, Hachette Book Group, Champtires, CMU’s Center for Student Diversity and Inclusion, Dietrich College of Humanities and Social Sciences, and English Department.